The KAT team has once again announced to move the domain location as part of the annual domain switch. Each year the torrent search moves its domain to a new place in order to keep itself active against different anti-piracy actions. At least this is everybody’s presumable conclusion. The site operators are not eager to comment on this. KickassTorrents is a site that millions of people visit every day. It is without a doubt one of the top sources of its kind. Over the past few years we have been experiencing the website change its domain name and move to new areas. The site itself has kept active during the changes. As last time KickassTorrents took its domain name to the island kingdom of Tonga, it has just recently moved forward to Somalia. This territory should have the domain for at least a year from now if nothing changes. The operators of the torrent search have only commented that they did not run into trouble with the Tonga registrar, and they just performed their usual tradition to change the domain location. 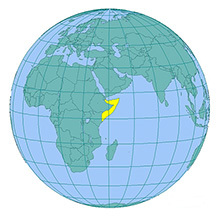 The Somalia domain might become accessible for users whose region had blocked the old site previously. Means if you are able to reach the site, then whether your region has never blocked it, or it is just a temporary situation. Though the domain extension is new, the name itself has remained the same and the old domain redirects to the new one, so nothing has actually changed for users and they are still able to reach the website as always.